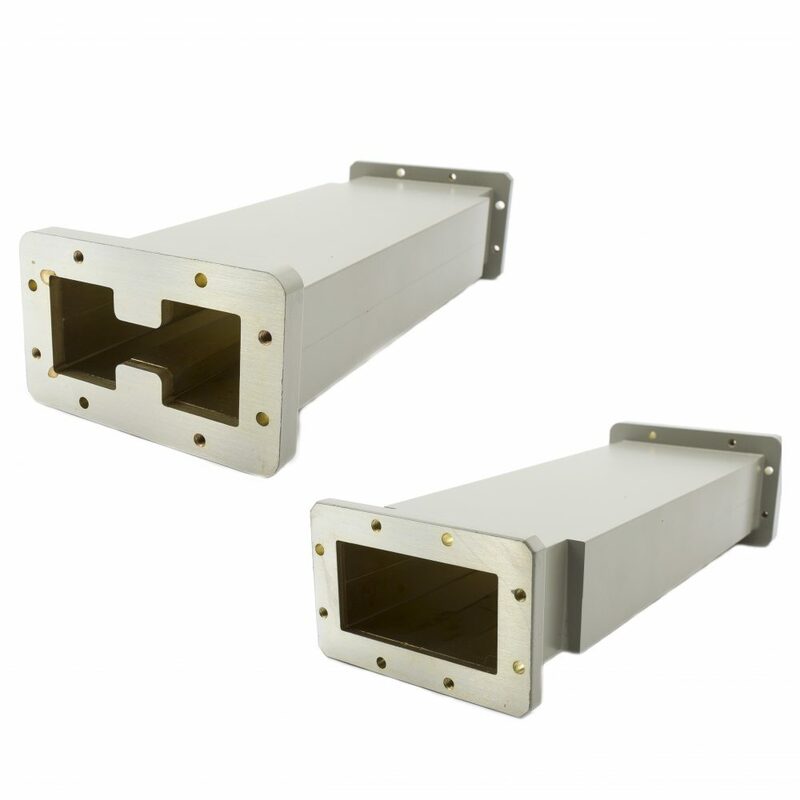 M.E.C.’s precisely machined R30 Series transitions connect double-ridge waveguide to rectangular or other ridge waveguide, while maintaining low insertion loss and good match. In the overlapping frequency band common to both waveguides, VSWR is 1.06:1 max. These transitions are the most suitable for use in laboratory set-ups to measure double-ridge components with rectangular waveguide test equipment or vice versa. Special narrow frequency bands may be requested to meet more stringent requirements. M.E.C. also offers matched transitions which transform a ridge waveguide into several rectangular waveguides operating ABOVE the fundamental frequency band of the ridge guide. Such over-moded transformers are needed in order to measure suppression characteristics of harmonic absorption filters and other wideband components. Coverage is available up to the second and third harmonic of the double-ridge fundamental frequency band. Excitation of higher order modes in the transitions themselves is minimized so as not to degrade measurement accuracy. Material is aluminum. Finish is chromate conversion per MIL-C-5541, Class 3, painted with gray epoxy enamel. Other lengths, bands and types may also be requested. The table below lists the transition model numbers and maximum lengths for fundamental and over-moded types.